The San Francisco Medical-Legal Partnership (“SFMLP”) is a unique collaboration between the Zuckerberg San Francisco General Hospital and Trauma Center’s (“ZSFG”) Children’s Health Center and Bay Area Legal Aid. The families served by ZSFG face many barriers to accessing the services of an attorney, including lack of transportation, lack of knowledge about the availability of services, language barriers and mistrust of the legal system. 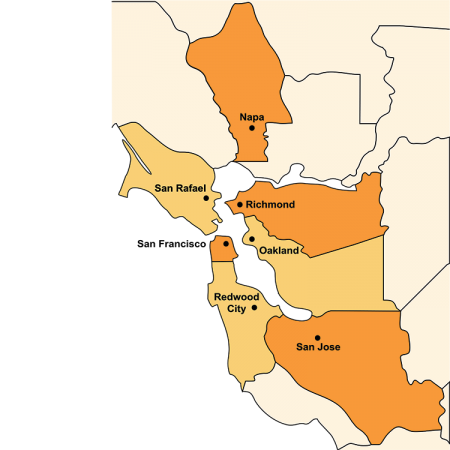 To address the poverty-driven risk factors that affect asthma and other health conditions, the SFMLP was founded to provide legal services for ZSFG children and their families. More than one in five children under the age of 18 in San Francisco lives in poverty. More than one in five children under the age of 18 in San Francisco lives in poverty. One third of San Francisco families are not able to meet their basic needs without public or private assistance. The number one cause of hospital admission in children at ZFSG is asthma. The SFMLP places an attorney into the medical home, mitigating these barriers and building on the trust developed in the physician-patient relationship. By placing a poverty law attorney directly into ZFSG clinics, the SFMLP aims to help families with issues such as substandard housing, lack of access to public support programs, and family violence. Miguel can’t remember a time when he didn’t have asthma. 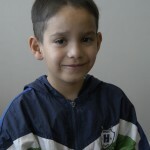 Nine-year-old Miguel and his mother endured years of frequent doctor visits, regular steroid infusions and other medicines ultimately costing Miguel’s mother her job as she tried to care for sick child. The cause of Miguel’s asthma – their home’s mold and pest infestation problems. But without income, the two were stuck. A doctor could only address the asthma, but in partnership with a BayLegal attorney, they were able to not only address the symptoms but the cause. Their attorney helped them apply for disability benefits for Miguel, based on his severe asthma, and using the income provided by those benefits they were able to move to a mold- and pest-free apartment. In the first year of the program, the SFMLP conducted screening interviews with over 120 families in the SFGH Pediatric Asthma Clinic for common social problems, opened 50 legal cases for pediatric patients and their families, recovered over $50,000 in public benefits for families, conducted more than 15 training sessions for pediatric providers and medical students, and partnered with the Department of Health and local housing organizations to pilot an “integrated pest management” project.